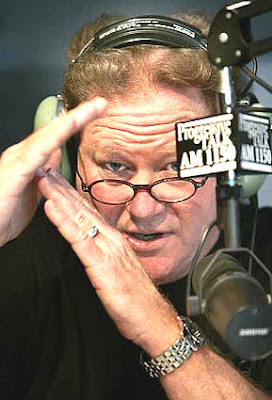 Ed Schultz broadcasts out of Fargo, North Dakota. I have a special fondness for Fargo (see Profile on right). Not only does Schultz speak from Fargo, but he attended Moorhead State College in Moorhead, Minnesota, just across the Red River from Fargo. Moorhead State was my mother's alma mater. If this were not enough to make me like Schultz the fact that he lives in a log home (as do I) and has a black Lab would put him over. "The McCain campaign represents the third term of the Bush administration." Thinking that over and shuddering with the recognition that it is right, I logged on to the Obama website and made another contribution.